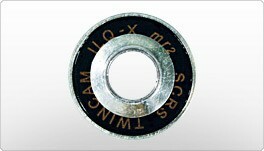 This bearing consists of a rubber cover. The cage has a self-lubricating, thermoplastic polyamide material (nylon and Teflon). In the interior of the ball bearing are 7 chrome steel balls. The set consists of 16 pieces bearings and the matching spacers!